The Jerome H. Remick III Literary Award was established in 1995 and its sponsorship continues through a bequest by Mr. Remick who had been an active member of the C.N.A. and a well-known writer of numismatic articles. This award is given annually to the author of the best numismatic article published in a local Canadian coin club newsletter during the previous calendar year. The award process is administered by the RCNA and the nominations made by members are submitted to a panel of RCNA officials for judging. The award is an inscribed bronze medal, which is presented to the winning author during the following year's RCNA Convention. Close of nominations is March 31st. Noted numismatist, and CN Journal and Canadian Coin News columnist Jerome H. (Jerry) Remick III, died in his home on March 1, he was 76 years old. Jerry started collecting collect coins around 1940, while he was just a teenager and soon became interested not only by the coins but also by the history surrounding them. He was a founding member (number 128) of The Canadian Numismatic Association in 1950. He was also instrumental in the foundation of the Quebec Numismatic Society in 1960. He was a member of more than 70 clubs in 12 countries. He was also the Founder of the Association of Personalized Medal Issuers (APMI) striking nearly 200 personal medals, many of them Christmas issues, in 3 metals since 1983. Alone, or in collaboration with other numismatists he authored or co-authored the following books: The Coinage and Banknotes of Ireland 1928-1968; The Complete Hong Kong Coin Catalogue 1863-1965; The Complete Rhodesia Coin Catalogue 1932-1963; The Coinage of the Dominican Republic (with Alcedo Almonzar); The Coinage of Jamaica (with Ray Byrne). His best known work was The Guide Book and Catalogue of the British Commonwealth Coins (originally written with Somer James and Howard Linecar). 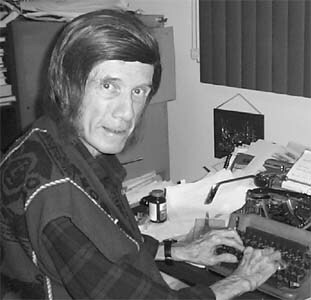 In more recent years Jerry published or collaborated on works including Canadian Trade Dollars (with Serge Pelletier) (1980); A Guide to Type Collections of Canadian Decimal Coinage (1995); A Checklist of Countries currently issuing their own paper money (1997) and Money Talk (1998). He has published hundreds of articles in monthly coin bulletins and in specialized club newsletters around the world. In the 1960s he was a regular contributor to World Coins (US); Coin Monthly (Great Britain); International Bank Note Society; COINS; The Spink & Son Numismatic Circular; COINage; Australian Coin World. ; and, of course, the Canadian Numismatic Journal. Jerry wrote more than 500 consecutive articles for Canadian Coin News since 1978 on Canadian Municipal Trade Tokens and more than 200 articles on World Paper Money; and numerous book reviews. For many years he was the greatest single contributor to Canadian Coin News and to The CN Journal. Jerry received many important numismatic awards. In Canada he was awarded the Royal Canadian Mint Numismatic Award for youth Support (1995) and the P. Napoléon Breton Award from the A.N.F.C. He also received the Numismatic Research Award from the Canadian Numismatic Research Society and was awarded fellowships by the Canadian Numismatic Society, the Ontario Numismatic Society and numerous other societies. In 1998, he was received as “Gouverneur" of the Quebec Numismatic Society (SNQ). According to his own admission, Jerry received his crowning glory, the J. Douglas Ferguson Award, the highest honour in Canadian numismatics. Within the C.N.A. he suggested or initiated a number of significant changes. He recommended establishing the fellowship, encouraged the C.N.A. to adopt a bilingual logo and suggested creating the Young Numismatists Kit. In 1994 he established a Literary Award for best article in a club newsletter. However, Remick's biggest contribution may have been his legacy - over more than half a century, he encouraged numerous young collectors to remain in the hobby, often supplying them with coins or notes to start their collections. "If it weren't for Jerry, many of us wouldn't be doing the things that we do now," Serge Pelletier said. He was a mentor, he was a shiny example but most of all, he was a great friend. He will be sorely missed."